After Microsoft left the MSX project in 1986, ASCII continued alone. 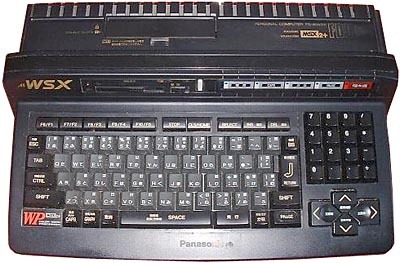 They presented a new improvement of the MSX 2 standard in 1988. No great enhancements, the MSX 2+ has 19268 colors instead of 512, some more graphic / KANJI resolutions and the FM-PAC cartridge is included, providing 9 channels of FM sound without drums or 6 channels FM sound with 5 FM drums. see more MSX MSX 2+ Ebay auctions !